From opera to pop to symphony the DSO 2015 season programme will once again demonstrate the orchestra’s tremendous versatility and ability to engage with the people of the Northern Territory on numerous concert platforms under the talent of Artistic Director and Chief Conductor Matthew Wood. Commencing with Master Series 1 ‘Poppies’ on 14 March, the DSO honour and commemorate the 100 year anniversary of the ANZAC landing at Gallipoli. This performance includes the world premiere of a new piano concerto composed by the DSO’s very own Cathy Applegate played by Michael-Kieran Harvey. In the second half of this concert the DSO team up with the Australian Army Band Darwin. This concert will be will be jointly conducted by Stephen Pevely and Captain Darren Cole. The DSO then heads outdoors to the glorious setting of the Darwin Waterfront to present the Opera Gala. Guest artists include Greta Bradman – granddaughter of Sir Donald Bradman tenor David Hobson and the return of Andrew Jones. The ever popular ConocoPhillips Symphony at Darwin’s Botanic Gardens Amphitheatre will again feature another dynamic ‘rock symphonic crossover’ with final guest artist details to be released in February 2015. Next the DSO heads back indoors for our Master Series 2 ‘Realm & Resonance’ at the Darwin Convention Centre. This contrastive programme draws music from the landscape. Ranging from the frozen, bleached landscape of Finland as characterised by composer Jean Sibelius to the sundrenched wilderness of the Australian bush, honouring the memory and brilliance of Peter Sculthorpe. Included is a very special performance by the new DSO Concertmaster – Veronique Serret. Master Series 3 brings together a giant of Australian composition Elena Kats-Chernin as she merges with Australian virtuoso flautist, Sally Walker in presenting the world premiere of a new flute concerto. Elena is one of the most sought after composers in the world and this will be premiered here in Darwin by the Darwin Symphony Orchestra. Igor Stravinsky’s dazzling jazz inspired Ballet Suite No. 1 and Alexander Borodin’s heroic second symphony will also feature. 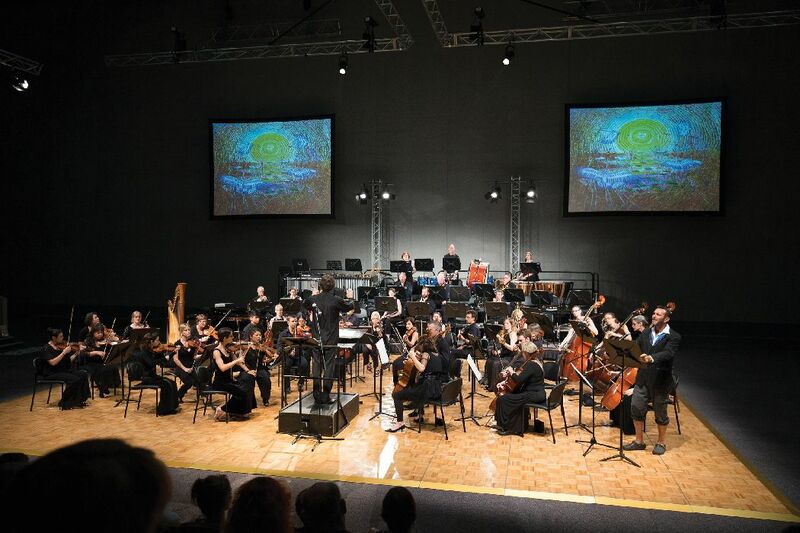 The final Master Series 4 ‘Tracy’ is the Darwin Symphony Orchestra’s reflections and recognition of the 40 year anniversary of a natural catastrophic event that transformed a landscape and altered lives. This will be shared through music and dance. The dance aspect will comprise of the Gary Lang Dance company – with original choreography by Gary – himself a cyclone Tracy survivor. The DSO has invited four of Australia’s leading composers to write specifically for the people of Darwin a brand new four movement orchestral work.This will be accompanied by the evocative power of dance. The orchestra has never shied away from challenges and diversity as a musical institution and the DSO 2015 Concert Season continues to acknowledge this reputation.